In the dim lights of the room, the 30 of us toned the chant together. Not in sync, but in our individual cadence and tempo. I had resisted this chant because it was connected to a man I despised because of what I thought he represented: oppression, violence and suffering. It was a chant for Jesus Christ. The candles and crystals in the center of our circle suddenly seemed to brighten, and orbs of light danced above. As I deepened into the frequency of the chant, I was moved — literally. I had to get up and prostrate myself and bow over and over again. Imagine! A witch overcome with love for Jesus. This is a testament to the power of vocal Sound Healing. 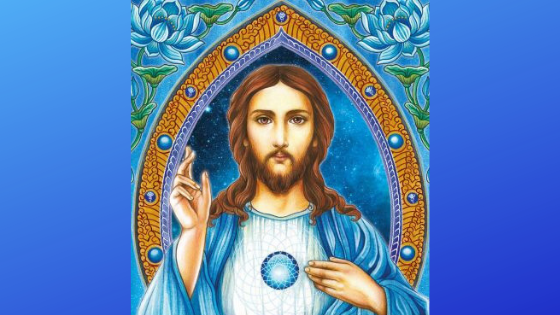 Because I was fully embraced by the loving voices as the chant evoked Christ Consciousness in us all, I could finally forgive, letting the light in through the crack in my heart until it burst open in Love. I felt true compassion for the first time. In that moment of merging with the Divine, I could see how our sound really does create sacred geometry in the 5th dimension. Every sound and word that comes out of your mouth carries a frequency that has a corresponding shape in the energetic field. It’s the 3D version of what we know sound frequencies look like. As I Om’ed, the star tetrahedrons spun around me and Jesus, where He was emanating from the portal we’d opened in the center of the room. This is the first time I’ve publicly shared about my experience that night in 2004. I was at the Healing Sounds retreat with Jonathan Goldman in Colorado. I was never the same after that retreat. I had completely rewired myself with sacred sound, like receiving an upgrade to your operating system. We all know how life-changing a good trip can be, let alone a retreat! The clarity and integration that can be achieved when you take time out of your regular routines and environment. The “instant upgrades” that happen when a group of women gather with intention and love. Hint hint: This Spring, I’m taking a group of women to Ireland on a sacred feminine pilgrimage. Over 9 days we will spend some in retreat at Springfield Castle, and spend the rest of our time visiting sacred sites. 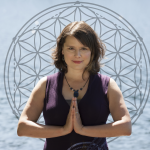 In the workshop sessions and ceremonies, we’ll access deeper levels of intuition, soul connection, and a more direct relationship with the divine within you. I’ll be leading a Spirit Voice sound healing workshop as well. Maybe you’ll have a life-changing moment like I did. This is your invitation: will you join us? Learn more about Awaken the Goddess Within in Ireland.